The U.S. Air Force has awarded Lockheed Martin a $21.5 million contract to provide a Launch and Checkout Capability (LCC) to command and control all GPS III satellites from launch through early on-orbit testing. The LCC, which will be integrated into the Raytheon-developed Next Generation Operational Control System (OCX), will ensure launch availability for the first GPS III satellite in 2014. The LCC includes trained satellite operators and engineering solutions in partnership with OCX to support launch, early orbit operations and checkout of all GPS III satellites before the spacecraft are turned over to Air Force Space Command for operations. The U.S. Air Force finally made it official and confirmed the rumor mill: Lockheed Martin has beat out rival satellite contractor Boeing for the contract to build the first eight GPS III satellites. In late-breaking news, the U.S. Air Force awarded Lockheed Martin a $6 million contract to develop and demonstrate a payload that will temporarily transmit a third civil signal, on the L5 frequency at 1176MHz, from a Block IIR-M satellite. 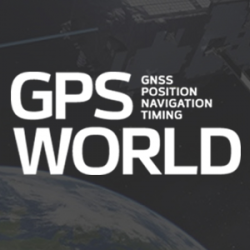 The Air Force Space and Missiles Systems Center’s GPS Wing has announced a new contract to the Science Applications International Corporation (SAIC) team for systems engineering and integration (SE&I). Contract value is $217 million if all options and maximum award fee are exercised over the five-year contract period of performance.